I have this thing about eye shadow: I can't quite get enough. Of course, I have collected every major palette going, from Huda Beauty to Urban Decay via Zoeva. But if I'm honest, it takes a lot more than a chocolate box pan of meh shades of taupe to do it for me. No, I'm a firm believer that eye shadow is there to be played with. I love to experiment with colour, whether that's a block of tropical blue hugging the lower lash line or a square of grass green placed nonchalantly in the centre of the eyelid. 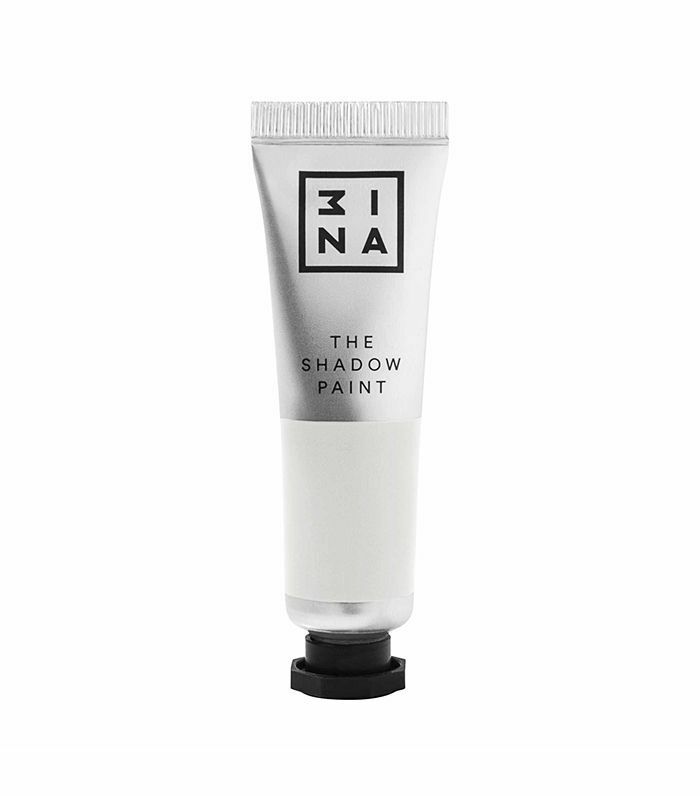 And that's exactly why, as soon as they hit my desk, I knew 3ina's new The Shadow Paints (£9 each) were going to be my jam. Keep scrolling to find out exactly why they are so good. Not only do they look like little oil paints, but they act like them too and they have that exact texture. 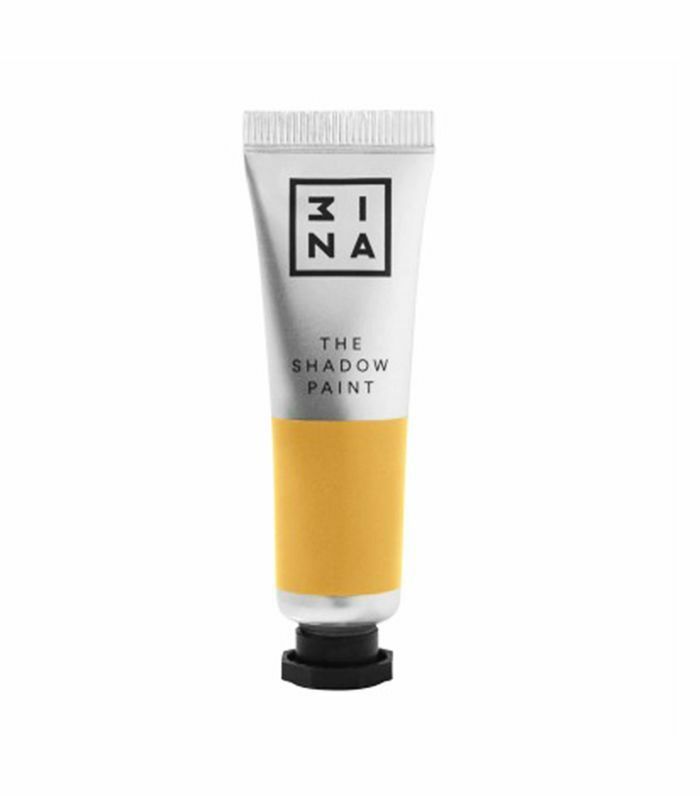 Squeeze a little out and you'll notice the colour is exactly the same as the tube promises; even when your brush or finger hits skin, that same colour intensity remains. For me, that's a real marker of quality for a product: You don't want to feel like you've been duped into buying something that, in reality, is pretty lacklustre. And it's this dense colour payoff that means it will look just as punchy on my yellow-undertoned olive skin as it would on dark skin (I mean, can we just take a minute to appreciate the graphic green eye look on the model above? ), Asian skin or even pale Caucasian skin. 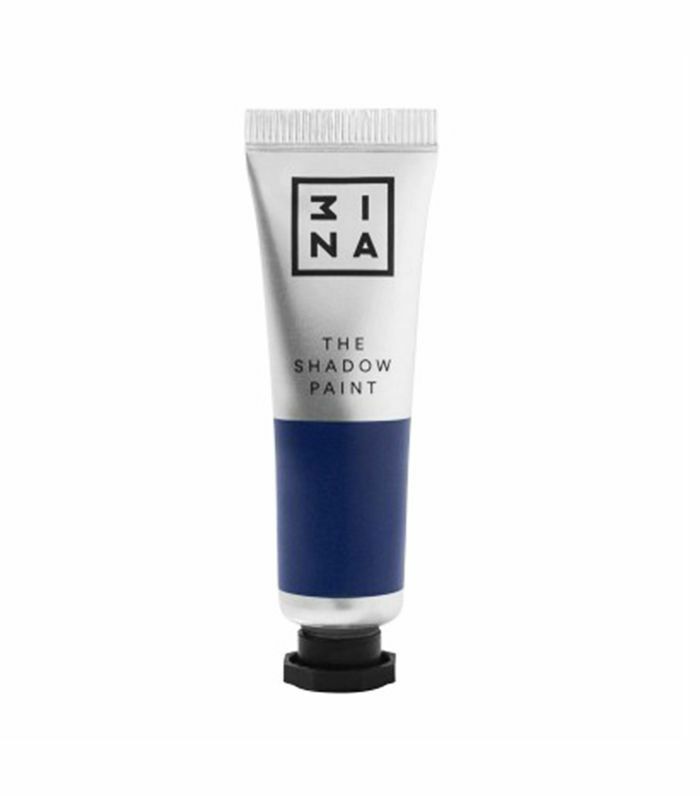 There are four shades: yellow, blue, green and white, which doesn't sound like a lot, but just like normal paint, you can mix them together to get the colour you're looking for. For example, mix a pin prick of green into a blob of white and you get this great pastel shade like mint chocolate chip ice cream. With colours this bold, I was a bit concerned that I'd end up with green smears down my cheeks by lunchtime, but they have this uncanny ability to stay put, exactly where you want them. And they're also waterproof, which adds to their sturdiness, but does mean (and this is a minor downside) that you need a pretty robust cleanser to get them off at the end of the day. Clinique's Take the Day Off Cleansing Oil (£22) worked for me, without too much rigorous rubbing. I've only had them a week and already I've tried liners, and blocks, and stripes and shapes, but I'm almost certain there's still a whole lot more fun to be had. Looking for more affordable makeup buys? These are the drugstore products makeup artists can't get enough of.